The Canadian Agricultural Partnership (CAP) is a federal-provincial-territorial suite of government funding programs for food producers and processors. While some programs are available to businesses across Canada, others only provide support to specific provinces. A stream of CAP, the Canadian Agricultural Partnership: Ontario Processors program, offers Ontario government funding to businesses that modify or manufacture agricultural products. Through the program, food and beverage processors may offset a portion of eligible costs for a wide range of productivity and competitiveness-boosting projects. Through the Canadian Agricultural Partnership: Ontario Processors program, companies may receive up to 25% to 50% of eligible expenses to a maximum $20k-$250k in grant funding per project. To receive CAP Ontario government funding, businesses must be deemed an eligible food processor and submit a comprehensive application by one of the program’s rolling deadlines. 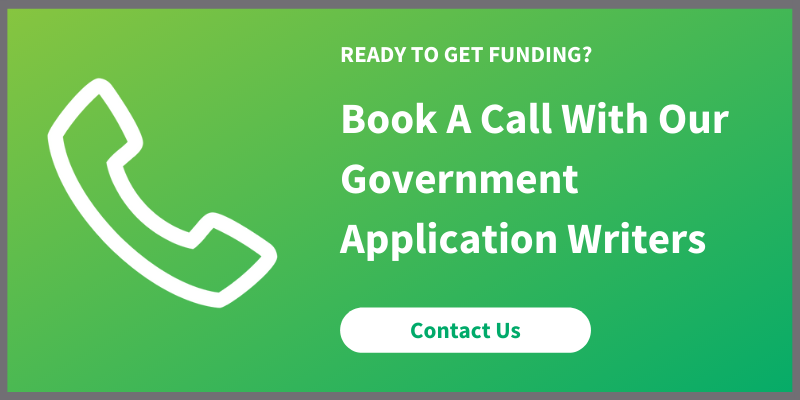 Applications are typically approved within 60 business days; and upon approval, applicants may begin to incur funding-eligible expenses. Program Overview: What is the Canadian Agricultural Partnership for Ontario Processors? The Canadian Agricultural Partnership: Ontario Processors stream is one of three government grants provided provincially through the Canadian Agricultural Partnership. As the main funding support system offered for Ontario food and beverage manufacturers, it offers significant incentives to companies investing in productivity-boosting products and processes. As administered by the Ontario Ministry of Agriculture, Food, and Rural Affairs (OMAFRA), the CAP Ontario program offers cost-sharing assistance to help food and beverage processors reduce the costs and risks of certain technology and innovation-based projects. Eligible applicants may access up to 25% to 50% of eligible expenses to a maximum $20,000 to $250,000 in grant funding, depending on the project’s focus. This stream of CAP funding closely resembles support provided through the Growing Forward 2 Ontario Processors stream. Since the program’s relaunch in April 2018, it has been enhanced to provide increased support for food and beverage manufacturers. Be directly involved in transforming agricultural commodities, food, beverage, or agri-based bio-products. Have vendor quotes that demonstrate project costs. Transformation of agricultural commodities requires (at a minimum) polishing, peeling, cutting, slicing or shredding, where applicable. Development of business assessments, audits, or plans by a third party. Please Note: For an extended list of project areas supported through CAP for Ontario Processors, please read Mentor Works’ program deadline blog. Directly influencing or lobbying any level of government. One-time expenses that are necessary to support the completion of project activities are generally deemed eligible for funding support through the Canadian Agricultural Partnership: Ontario Processors program. Any expenses relating to assessment outcomes, including certification fees, legal fees, licenses, registration fees, and investment or banking charges and fees. CAP Ontario Application Deadline: Discover when to apply for CAP Ontario to have your project considered for agriculture and agri-food grants. To apply for the CAP Ontario: Processors program, businesses must develop a comprehensive application and submit it during one of the program’s periodic calls for proposals. Application review takes approximately 60 business days (3 months) from intake deadline. If approved, projects may begin incurring funding-eligible expenses. The program’s current call for proposals deadline is May 6, 2019. If applying in this round, anticipate a project start date in August-September. How are Funding Applications Reviewed? Competitiveness: Should help businesses reduce costs and/or increase the value of their products and services, leading to new competitive advantages. To explore your business’ eligibility for CAP Ontario Processors funding and learn how to optimize the application process, please contact Mentor Works. Posted: July 12, 2013. Updated: April 3, 2019.